The Prince of Wales made a speech at the Global Leaders Conference on One Health and Antimicrobial Resistance in London earlier this month. His Royal Highness met guests, who included Ministers and global experts in both human and animal health sectors, at The Royal Society before addressing the group. The event was hosted jointly by the Chief Medical Officer and the Chief Veterinary Officer, and focused on animal health and plans to address antimicrobial resistance in the context of the ‘One Health’ approach. The ‘One Health’ concept recognises that the health of humans is connected to the health of animals and the environment. The conference aimed to establish key principles for developing effective animal health plans within countries’ global action plans on antimicrobial resistance. 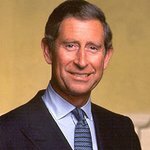 His Royal Highness has long been an advocate of sustainable agriculture and food production, often speaking of the vital importance of protecting natural ecosystems and warning of the dangers of overusing antibiotics. Watch The Prince of Wales’s speech from the conference here.